Alluvium is not exactly a buzzword today, but it is an ancient term simply derived from the latin alluvius, meaning 'washed against' or 'an inundation'. Its use in English and that of the closely related though now antiquated 'alluvion' dates back at least to the early sixteenth century. Scientifically, the name was first transformed into part of Earth Time chronology by continental scholars such as the eighteenth-century German heavyweight Abraham Gottlob Werner, who became internationally famous for his ideas about the materials and formation of the Earth. Numerous acolytes flocked to Freiburg, sat at Werner's feet, took in every word he uttered and then dispersed the Wernerian 'gospel' abroad. Many Wernerians became important and influential geologists in the early decades of the nineteenth century, including such eminent alumni as Alexander von Humboldt and Robert Jameson. Of special importance and interest to us was Werner's attempt to order and classify all strata known at that time and provide an explanation for their occurrence at the surface of the Earth. Although his geological studies were largely confined to his home territory of Saxony, Werner was not afraid of drawing general lessons from this limited experience. Like other scholars before him, he assumed that the Earth had once been fluid and had gone through an initial and incomplete sorting into concentric layers of fire, air, water and earth according to density. For Werner, that original global and primitive ocean was a turbid and hot chemical mixture of minerals and water. The first formed rocks were deposited by chemical precipitation. Thus most rocks were aqueous in origin and were laid down one upon the other in a more or less orderly fashion. First formed and most primitive were crystalline rocks such as granite, gneiss, slate, basalt and so on. They were to be seen preserved in the highest mountains and underlay all other rocks. 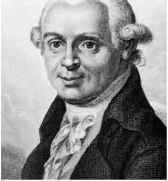 Abraham Gottlob Werner, 1749-1817, a German professor of mineralogy at Freiburg and a charismatic teacher who attracted students from all over the world. He published little, but his Short Classification and Description of the Various Rocks, 1786, was highly influential. Above lay the Transition rocks, which were less crystalline chemical precipitates such as greenstone and some stony layers deposited by running water such as greywacke. These layers were to be found dipping or inclined against the flanks of mountains. Their presence suggested that the waters of the primitive ocean had begun to subside and that some of the primitive rocks were already being eroded. 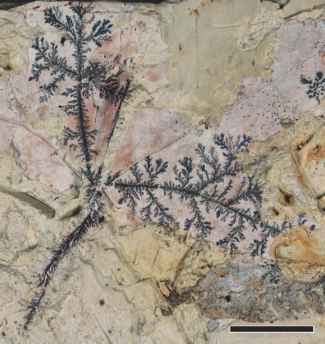 Recycling of their debris deposited new layers of strata, some of which included fossil remains, indicating that this was when life first began. Baron Friedrich Wilhelm Heinrich Alexander von Humboldt, 1769-1859, a pioneer German polymath and geographer. Humboldt travelled to South America with his lifelong companion Aimé Bonpland. His journal influenced Charles Darwin and Humboldt authored the multivolume Kosmos, 1845 et Seq. Robert Jameson, 1774-1854, a Scots naturalist who became professor of geology at Edinburgh. 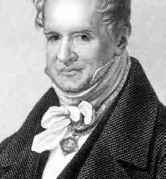 He wrote an influential Wernerian textbook, Elements of Geognosy, 1808, and in 1811 founded the Werner Natural History Society and journal. (much of which is now known to be a biochemical deposit) and coal (now known to be an organic deposit), but still included some chemical precipitates such as greenstone, salt and gypsum layers. He argued that there must have been two inundations separated by a period when the global ocean was at a significantly lower level. And, since the Flötz were to be seen in low-lying horizontal layers, they presented evidence that overall the ocean had retreated from its original global extent. Finally, according to Werner, there followed a prolonged retreat of the sea with the emergence of land masses on which there was a fourth series of deposits, Aufgeschzvemmte-Gebirge or Alluvial layers. These were sands, gravels and rolled masses laid down by running water flooding over the land, carrying any loose material and dumping much of it in the sea. Volcanoes erupted spewing out lava and ash that accumulated in patches over the land along with clay and peat deposits. How and why the sea invaded the land and where it subsequently withdrew to were unanswered questions. Werner was disinclined to speculate about the Earth's interior - 'we want to leave the dark abyss of the earth, where we can only wander about along the giddy paths of conjecture and return to that upper region of the solid earth, where the light of experience of searching minds illuminates the path'. 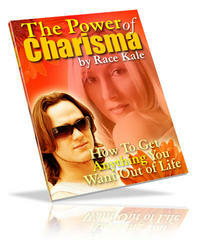 He believed that processes going on today were the same as those in the past. And from his Saxon homeground the Earth seemed a fairly stable place undisturbed by catastrophic earth-shattering events. For Werner it seemed that geological processes were gradual, with transitions from one phase of deposition into the next. William Maclure, 1763-1840, Scots geologist and student of Werner's who compiled and published the first geological map of America in 1809 using Werner's classification. the first geological map of the United States in 1809. In Edinburgh University, Robert Jameson's teaching of Wernerian theory and ideas was highly influential and he probably directly recruited as many if not more to the 'cause' than Werner himself. Famously, Jameson's performance as a teacher of geology severely 'turned off from the subject a young English student called Charles Darwin (and his brother). Darwin subsequently remarked that Jameson's lectures were 'incredibly dull' and that as a result he determined never 'to read a book on geology or in any way study the science'. Curiously, other students do not seem to have complained about the professor's performance and luckily Darwin was to return to the geological 'fold' and accepted with more enthusiasm further instruction from a Cambridge professor Adam Sedgwick, whom we shall meet again. 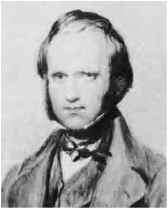 Charles Robert Darwin, 1809-82, Cambridge-educated naturalist of independent means whose global voyage on HMS Beagle provided him with formative data and specimens for his theory of evolution, published in book form as On the Origin of Species etc., 1859. 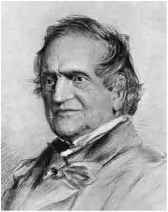 Adam Sedgwick, 1785-1873, student and fellow at Cambridge, appointed 7th Wood-wardian professor in 1818; president of the Geological Society of London (1829), canon of Norwich from 1834, collaborated with Murchison in defining the Cambrian, Silurian and Devonian Systems of strata, but later bitterly disputed the position of the Cambro-Silurian boundary. rivers, floods, or other causes upon land not permanently submerged beneath the waters of lakes or seas. Etym., alluo, to wash upon, or alluvio, an inundation.' By comparison Diluvium was, according to Lyell, 'those accumulations of gravel and loose materials, which, by some geologists, are said to have been produced by the action of a deluvian wave or deluge sweeping over the face of the earth. 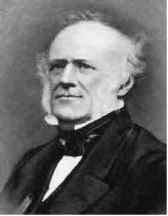 Sir Charles Lyell, 1797-1875, Scots-born, Oxford-educated barrister who took up geology and became professor at King's College London (1831-3) and wrote the highly influential Principles of Geology (1831-3), president of the Geological Society of London (1835, 1849), created baronet 1864. Etym., diluvium, deluge.' We will delve into the Diluvium in more detail below (see p. 31 et seq. ).